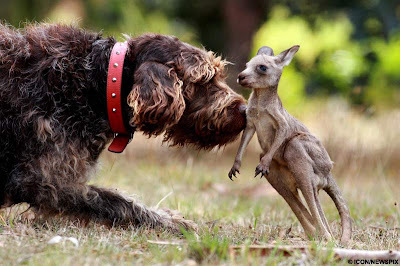 Rex, a German short-haired tiger cross, came upon a dead kangaroo in a road in Victoria, Australia. 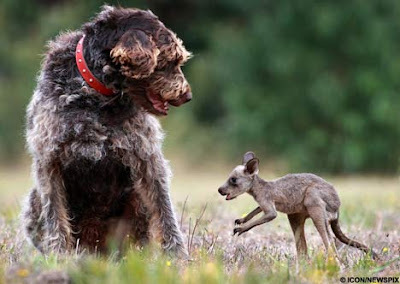 Amazingly, one of its joeys was alive in its mother's pouch. 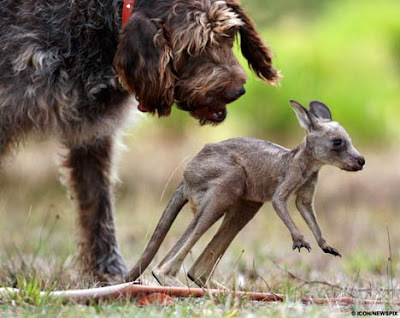 Rex rescued the joey, took it home, and dropped it at his owner's feet.